Seventeen radios shipped from Israel are at the core of the cave rescue saga in Thailand’s Chiang Rai province. 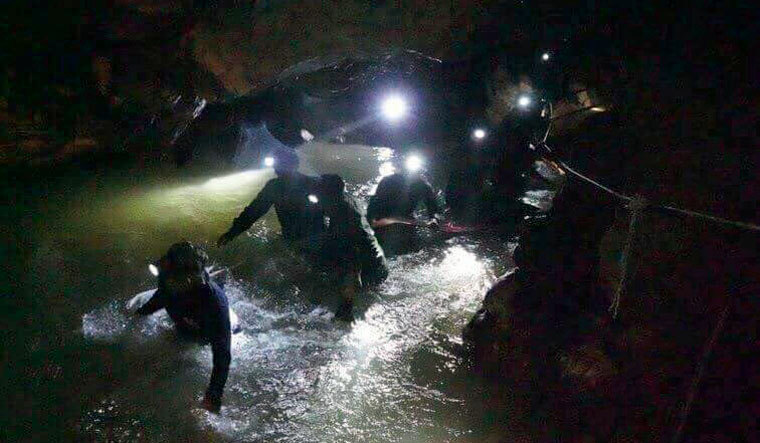 For close to 10 days now, an international rescue team has been racing against time—and, literally, tide—to extract 12 boys and their teacher from a flooded cave network. The Tham Luang Nang Non (Great Cave of the Sleeping Lady) cave network is reportedly 10km long, with tight, winding and submerged passages connecting spacious chambers. The chamber in which the children have taken refuge is reportedly 4km from the cave mouth, and at least a kilometre under the surface. The cave network is out of range of commerical cellular networks and has a wet, humid environment that is not exactly a blessing for sensitive electronics. The rescue team has been trying to connect the cave mouth and the chamber with a fibre-optic link. But, divers have not been able to draw the cable through the tight passages, as they themselves are weighed down with oxygen tanks. Enter, the MaxMesh Tactical radios provided by Maxtech Networks, Israel. Interestingly, the company has been a constant presence at India’s DefExpos for more than a decade. Currently, Maxtech is represented in India by Bengaluru-based Mistral Solutions. The MaxMesh system looks quite a bit like the traditional VHF hand-helds used by your neighbourhood traffic policeman. But, the similarity ends there. 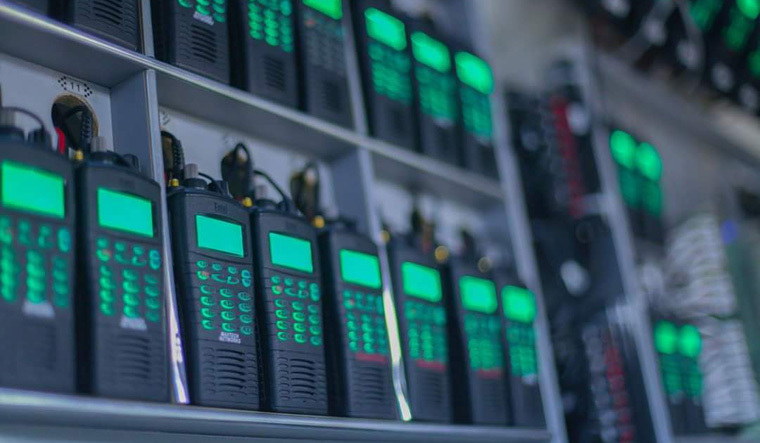 While traditional radios form a star pattern, where lines of communication radiate from a base station, MaxMesh forms a mesh pattern, where each radio is connected to multiple neighbours. While Ahmed refused to name specific clients of MaxMesh Tactical in India, he said that the radio was “designed for use by special forces, the Army, the National Security Guard, the Central Reserve Police Force and the National Disaster Response Force”. “We have been educating the [Indian] forces in what is possible with this new technology,” he said. “We already have a few users in India and expect more special force units across India to start using them.” He said the radio had successfully undergone “stringent testing and trials by Indian forces”, and was the only radio to have checked all boxes—including deployment in tunnels and underground. Uzi Hanuni, founder and CEO of Maxtech, told israel21c.org that the radios were provided free of cost to the rescue effort in Thailand. Hanuni said that he was moved by the plight of the children, after being briefed by Maxtech’s representative in Thailand. He hoped that they would be extracted safely, before the weather worsens. Commendably, Yuval Zalmanov, a senior software engineer with Maxtech, volunteered to fly with the equipment, and is currently providing on-site assistance to the rescue team.